VAC-TEC LLC has trained technicians who provide emergency septic repair services in Des Moines, WA and the nearby areas. When you call us for emergency septic repair, we will assess your septic system problem and determine the best possible repair solution. With our fast emergency septic repair, property owners in Des Moines can keep their septic system in peak operating condition. We have the knowledge and equipment to handle emergency septic repair jobs of every size. Need an emergency septic pumping & cleaning? We will thoroughly pump and clean your septic tank, and restore it to its full functionality. Call us anytime, day or night, and we will be there to provide an expert emergency septic pumping & cleaning service in Des Moines. 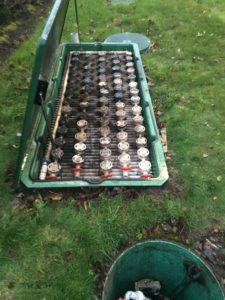 We can also offer a septic maintenance program to prevent the need for an unexpected emergency septic pumping & cleaning. Whether you want to schedule a service, or just have questions, our friendly, experienced team is happy to help. We offer our clients a peace of mind that comes with years of septic industry experience and knowledge. 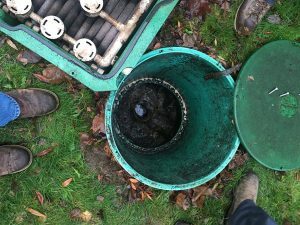 Septic systems that are clogged can cause a lot of problems. When you need an emergency septic pumping & cleaning service, we are a simple phone call away. We have the equipment, trucks and experience to offer a safe, reliable emergency septic pumping & cleaning service. Wastewater removed from septic tanks can potentially be classified as hazardous waste – that is why we dispose of the waste legally. We offer the combination of vacuum trucks and high pressure cleaning equipment to meet the emergency septic pumping & cleaning needs of our municipal, commercial and residential clients. To find out more, or to schedule an emergency septic repair service in Des Moines or the surrounding communities, feel free to call VAC-TEC LLC at (206) 339-0039. We are here for you 24/7.